Douglas & McIntyre, 9781771621489, 320pp. 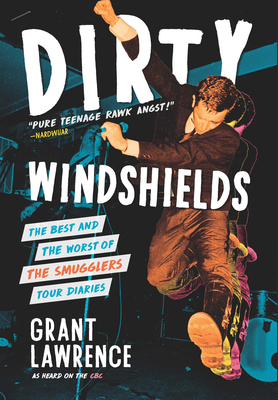 In Dirty Windshields, Grant chronicles the band's booze-fueled, sweaty, broke and wayward attempts at rock and roll glory as they trekked across Canada, the United States, and eventually, Europe and the Pacific Rim. In their sixteen years of touring, the Smugglers experienced all the highs and lows the road can offer, from playing a gig at New York's legendary CBGB club to starting a riot in a Denver nightclub to having their performance tuxes stolen in Australia. Through the fights, sexual misadventures, new friendships, dance contests and mayhem, the band grew up together on the road. Told with Grant's signature self-deprecating wit, the anecdotes develop into a compelling story of the growth of an independent, do-it-yourself touring band, a community, and a musical movement. So crack open a semi-cold can of Black Label beer, stick a Smugglers tape into the cassette deck and let the good times roll.